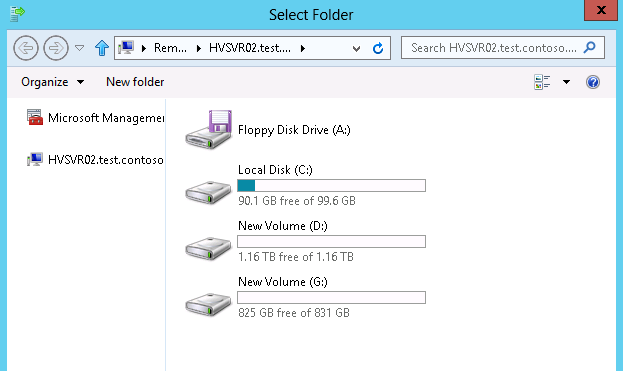 In Windows Server 2012, one of the new features of Hyper-V is Live Migration without Shared Storage. 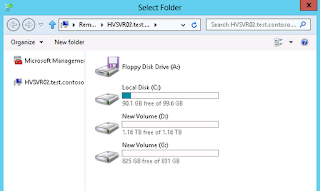 As previous version, Live migration requires a cluster shared storage and cluster settings. 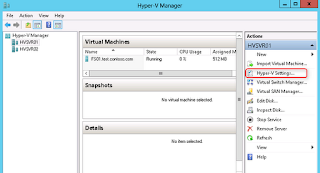 Now, you can move VMs from 1 Hyper-V server to other Hyper-V servers without luster shared storage and cluster settings. I will show you how to confugre Live Migration without shared storage. Make sure both Hyper-V servers are joined the same Active Directory domain. 1 domain controller, named DC01, for "test.contoso.com" domain. 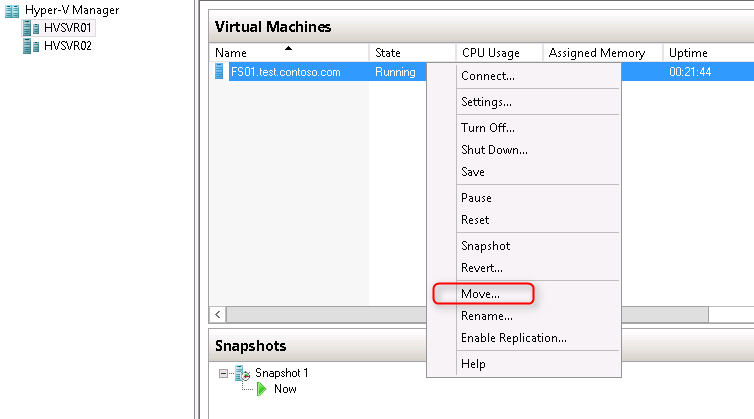 2 Hyper-V, named "HVSVR01" and "HVSVR02" are joined "test.contoso.com" domain. Both Hyper-V servers contain 2 network cards with 10.0.0.0 /8 domain network and 172.16.0.0./16 Live migration network. 1 VM, named "FS01.test.contoso.com", is located on HVSVR01. There are 2 virtual switches, named "HVSVR01-Switch" and "HVSVR02-Switch". The "HVSVR01-Switch" is configured on HVSVR01 and The "HVSVR02-Switch" is configured on HVSVR02. 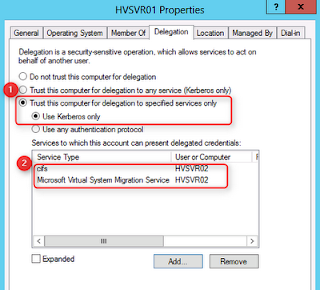 Live migration on Windows Server 2012 supports 2 authentication protocol, "CredSSP" and "Kerberos". 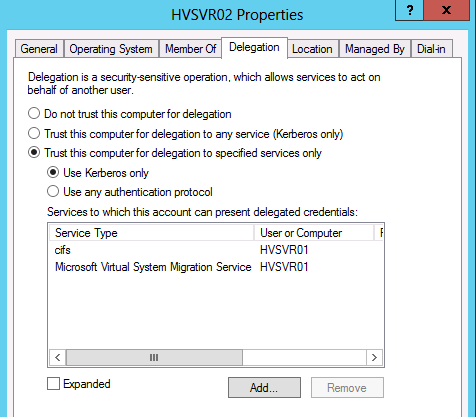 By default, Hyper-V servers use "CredSSP" To configure to use Kerberos authentication, we need to configure Kerberos delegation on the servers. 3. Navigate to "test.contoso.com > computer". 4. Right-click "HVSVR01", select "Properties". 6. Select "Trust this computer delegation to specified services only > Use Kerberos only". 8. Click "Users or Computers". Remark: You have to select destination servers for delegation. In my lab, HVSVR01 needs to select HVSVR02, and vice versa. 10. Select "cifs" and "Microsoft Virtual System Migration Service". 13. Repeat step 4 - 12 on HVSVR02. 14. Close "Active Directory Users and Computers". 15. Go to HVSVR01, log in as Domain Administrator. 18. At left pane, select "Live Migrations". 19. 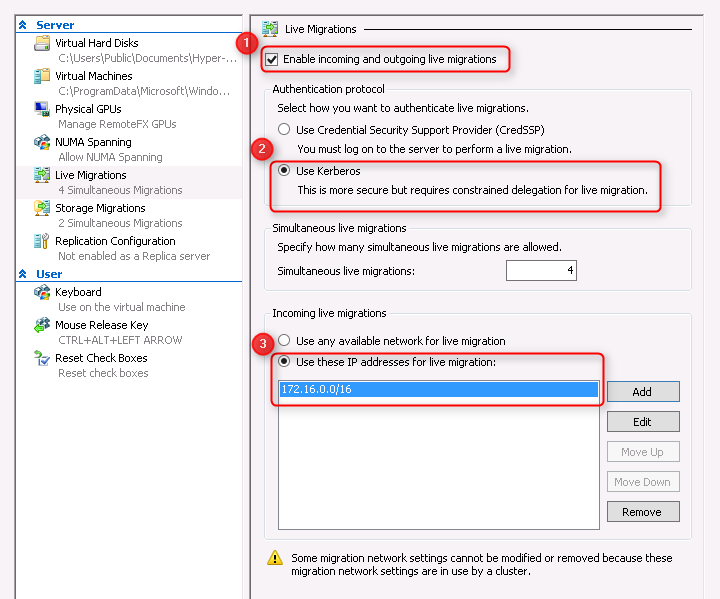 Check "Enable incoming and outgoing live migrations". 20. Next to "Authentication protocol", select "Use Kerberos". 21. 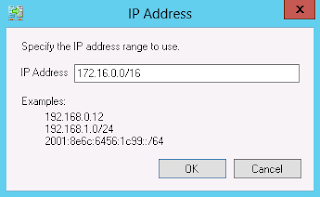 Next to "Incoming live migrations", select "Use these IP addresses for live migration". 23. Next to "IP Address", type "172.16.0.0/16". 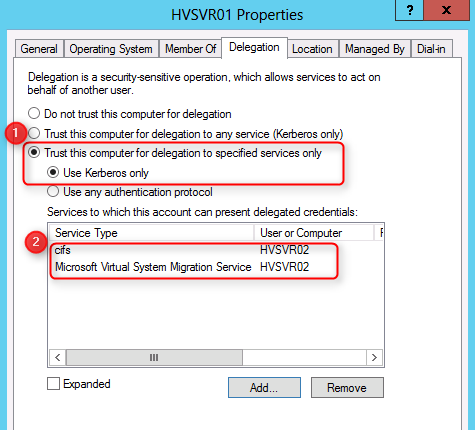 Remark: If there is no network to be specified for live migration, the Hyper-V servers use the domain network, 10.0.0.0/8, for live migration. 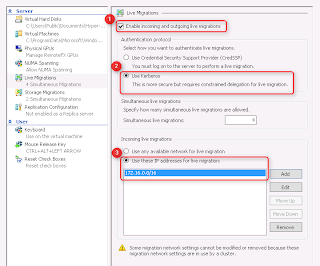 If the live migration network setting only applies on 1 server. 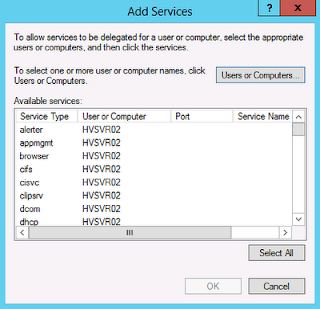 Both Hyper-V servers use the domain network, 10.0.0.0/8, for live migration. 26. Repeat step 16 - 25 on HVSVR02. 1. 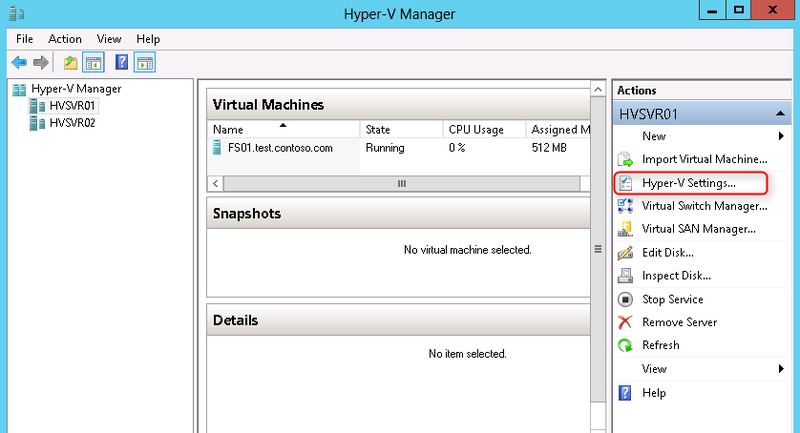 On "Hyper-V Manager" of HVSVR01, right-click "FS01.test.contoso.com". 3. At "Before You Begin" screen, click "Next". 4. 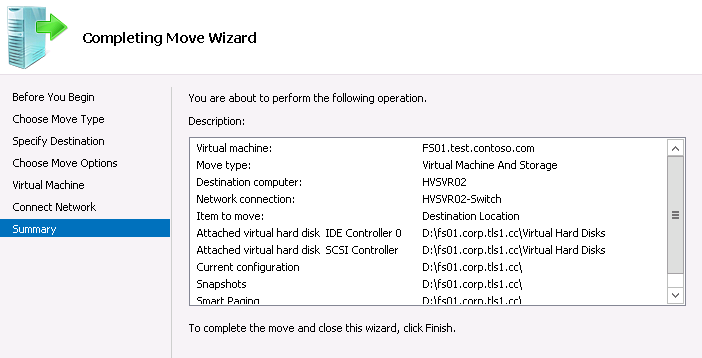 At "Choose Move Type", select "Move the virtual machine". 6. At "Specify Destination" screen, next to "Name", type "HVSVR02". 8. 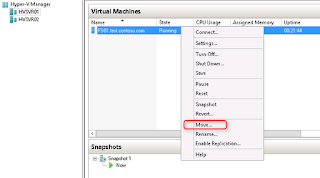 At "Choose Move Options" screen, select "Move the virtual machine's data to a single location". 10. 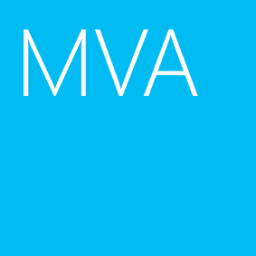 At "Virtual Machine" screen, click "Browse". 11. In my test lab, I will select "D:\fs01.corp.tls1.cc". 13. At "Summary" screen, click "Finish". 14. Because the name of virtual switches is different in my test lab, I need to select the virtual switch for the VM. Now, the VM is moving to HVSVR02. 17. Finally, the VM has been moved to HVSVR02.